WWSJD (What Would Steve Jobs Do)? I’ve been reading Walter Isaacson’s biography of Steve Jobs, which describes the late Apple CEO’s obsession with branding, product design and customer experience. One aspect of his personality that I can relate to was his penchant for details and perfection. It was funny how just thinking “WWSJD” cleared a mental logjam! While Jobs was surely mercurial and a tyrant to work for, it is clear from Isaacson’s biography that he had an amazingly clear and focused vision of where he wanted to take Apple Computer. And there is a part of that vision we can emulate in our own businesses and careers. 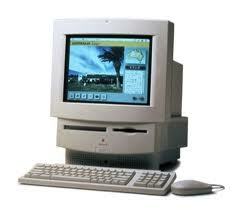 I still have in my garage the Macintosh Performa 575 I bought in 1994. (Would you believe it had 5MB of RAM and a 250MB hard drive?) I remember opening the box and setting it up, just as I remember later opening the box to my first iMac, iBook G4 and iPod. I don’t think there is any other consumer product that I’ve opened with such anticipation. Sure, I’m a Mac fan, but you don’t have to be one to appreciate the beauty of these products, which starts with the packaging and carries through to the look, feel and functionality of the devices and the experience of using them. And even though you might not have liked Jobs, you have to grant that he had a remarkable knack for stylishly and playfully reinventing the way we access information, listen to music and communicate with each other. What I take from my own Apple experiences and reading about Jobs’ life is that form matters as much as functionality, but it matters most when it conveys something unique, inviting and fun. Sometimes I will walk into an Apple Store and play with an iMac or iPod, even though I already own one. Now, why would I do that? Because they are so cool! Think about the Apple experience versus the experience your customers have with your products and services. Or the way you are perceived as a professional—your personal brand and image. If there isn’t that same pleasing, inviting experience, maybe it’s time you did something about it. This entry was posted in Careers, Marketing and tagged Apple Computer, customer experience, Steve Jobs. Bookmark the permalink. 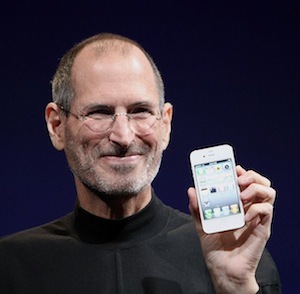 8 Responses to WWSJD (What Would Steve Jobs Do)? Nice entry per usual Jay! I have been meaning to comment, but by the time I think of something to write, you are merrily banging out more nuggets about life, inspiration, your bold new gambit starting up your own PR firm. I have yet to fully digest the Steve Jobs biography. I anticipate it will take awhile, it has been few weeks since I finished the Isaacson behemoth. Jay, I strongly encourage you to post more thoughts on the Steve Jobs book. It is clearly one of the most important non-fiction books for 2011 and is destined to be a must read for scores and scores of individuals across multiple academic and business sectors for decades to come. I very much believe in opposites as a basic governing principle of the physical universe. Like speculation on black matter that would balance out the physical matter we now know of, or for every reaction there is an equal and opposite reaction or with quantum physics, one particle here that is matched by the opposite particle somewhere across the universe. It does not necessarily apply to human beings, but when it does, you have look at those both sides and not simply isolate one. You and so many others have fallen into this trap, seemingly without much thought. Every now and then a wise colleague would pull Jobs aside to try to get him to settle down. Lee Clow [a three-decade loyalist who created Apple’s “1984”] was a master. ‘Steve, can I talk to you?” he would quietly say when Jobs had [serially and randomly] belittle[d] someone in public. He would go into Job’s office and explain how hard everyone was working. ‘When you [habitually] humiliate them, it’s more debilitating than stimulating,” he said in one such session. Jobs would apologize [to Lee, not the victim] and say he understood. But then he would lapse again. “It’s simply who I am,” he said. So, Jay, take a moment and think of times in the work place where you have been public humiliated by a superior to the point of debilitation. Wow, I remember my first, clear as a bell. I was in my 20s, in grad school, and working for $16,000 a year as the document clerk on the House Banking Committee. Then powerful Banking Committee Chairman Fernand St Germain came barreling into his personal office one day just as I was delivering mail from the committee and talking to his LD, who has been a great friend for these 20+ years, to tell me very publicly that I was spending way too much time in his personal office. It is something now I can chuckle about, but then I was mortified and crestfallen. The fact that he may have written some great legislation or that his office did great constituent work, did not then, or does not now, excuse that behavior, not in my minor case, but for all the instances that he metered out real abuse to those working under him. There have individuals at most of my professional stops who could be so unnecessarily unpleasant at times. I have no problem being “yelled at” in a manageable fashion for screwing up, it has always been part of my professional learning curve and a part of my successes. As I recall, you were always and amazingly even handed and a genuinely kind person, traits I most aspire to. Well, sometimes… But I think I did some of my best work when you were my boss for what, 4 or 5 years. What I find most interesting is how Isaacson has handled the inevitable questions on the personality deficient side of Steve Jobs which I think shows his continued reflection on a man after 567 pages of prose. I think he hit it on the head when he said that Jobs should be judged most importantly by his interactions with his family, those he loved most, and clearly Jobs could be the same abusive personality, but he learned as his life progressed, at least in his personal life, to be more supportive and more loving, even after starting out in bad places. All his children were with him when he died and he and his wife shared in each other’s lives in meaningful ways. I strongly disagree with Isaacson, you can’t rewind the life of Steve Jobs, splice out parts of it, and say the film would have been the same. My Steve Jobs book is all marked up and I do plan to get down all my notes at some point. But the most enjoyable part of this book, his life and genius, his really [crappy] treatment of many people, is I continue reflecting on its totality, his opposites, his importance in history. I come out far more positive, then negative on Steve Jobs, but to ignore the negative by not even delving into it in any meaningful way really cheapens any analysis of the genius – that is the easy part, human nature is the tough nut to crack. John, I agree that Steve Jobs is a tough nut to crack. I cannot understand how such a smart guy would not have seen how destructive his behavior could be to his colleagues, friends and family. Unfortunately, the annals of business history are full of tyrants and petty dictators. It does seem that capitalism breeds and encourages this kind of behavior. The only saving grace is that Isaacson gives examples of where his actions led to faster results, greater productivity and better quality. But at what price? That’s the question. And was it really necessary? Perhaps I was a bit too playful with “WWSJD”; I certainly don’t condone Jobs’ tantrums and the abusive way he treated his employees. 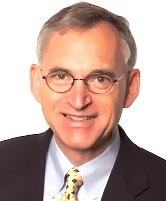 But I do think that Apple’s marketing philosophy (which was actually written by Mark Markkula, one of the original Apple partners) is one worthy of our attention. I agree on all your points. I love this! A great daily mantra to keep in mind!